From a very young age I was exposed to the world of dance where creative mysticism meets high discipline. I will always distinctly remember my very first ballet recital: the exhilarating sensation of being the centre of attention to an enthralled audience full of watchful eyes -winning the trophy for best performance - the roaring cheer as I returned to the stage to claim my victory. Nothing compared to the rush I felt that day, and so my love affair with dance began. Most afternoons as a child were happily spent in tights and leotards...from ballet and contemporary, to modern and jazz...I just couldn't get enough. My passion for dance ran through every vein in my body - I was completely and totally addicted. By the age of 12, dance was my absolute everything - six days a week for at least three hours a day I found myself striving for perfection in each routine that I learned. My parents and teachers were always very supportive, caring and encouraging; however by nature I am a Type A perfectionist and with that comes a significant amount of self-induced pressure. The competition grew stiffer as more girls began to develop stronger dance technique and so the strife for perfection augmented. I began comparing myself to each of the girls that I danced with (both my age and older), to determine what attributes allowed them to dance as well as they did. One of my key observations was that all the brilliant dancers were waif-like, delicate and very skinny.This noted, and paired with an intense desire to be the perfect dancer, I deduced for myself that losing weight would assist me to spring higher and perform more gracefully. I believed so much that being skinny would make me a better dancer that I began controlling my food intake, first a little then a lot, and when I started to see "results" I cut down on my food portions even more. Eventually half a slice of toast in the morning and a measly salad at night became my staple meals. Ironically, my self-fulfilling prophecy did allow for me to fly higher and more gracefully for some time - little did I know the damage I was doing to myself both physically and mentally. Thankfully, on noticing my significant weight loss and obscure eating habits, my parents and dance teachers intervened before I was able to cause my body any detrimental damage. I began eating properly again, however the distortions that I had allowed to manifest in my mind had already rooted themselves deep within my subconscious. My self-worth and confidence was now inextricably linked to the size of my body. What in my mind started out as a seemingly harmless conclusion, turned into a significant mental struggle that I would have to contend with for many years to come. Throughout my years as a teenager, I battled with self-confidence, believing that people would only like me or notice me if I was thin. Still dancing fanatically, I would eat very healthily to ensure that I maintained a performance-ready physique. While my eating was better, my mind was still fraught with distortions. Even though I was by no means fat, I would feel as such whenever I ate. Food had become my greatest enemy. When I looked into the mirror, what I saw and what was were worlds apart. My body image was completely warped. My happiness became completely dependent on how thin or fat I felt on a particular day. Looking back now, I cannot believe how I could ever have allowed myself to succumb to such a state of being, and yet I did -every single day for five years. The turning point for me came about when I was 16. I remember reading a short statement in one of my English set work books: "you are everything you believe you are, so start believing better". Sometimes the penny drops at strange and unexpected times, and for me this was it. A short and simple line, yet so powerful and rich in meaning. No one else could fix me but me, and me alone. After all, the very struggles that I was facing were completely self-inflicted. I began working on breaking down the mental barriers that were holding me down; I realised that all the negativity I was feeding myself was manifesting physically. How could I ever expect my body to respond well to me when I was degrading it at every chance I could? I also realised how selfish my mentality was, both to myself and to those around me. I had become serious, withdrawn and experienced frequent lethargy and fatigue - my zest for life was depleted, and I was a complete misery to be around. Once I began taking responsibility for the spacein which I was allowing myself to exist, I was able to see the possibility of change - I felt hopeful again. Slowly but surely I was able to change my mind-set - my thoughts became more positive and I could see and feel the difference in my life. I felt happier, more alive and confident within myself. My new-found energy sparked a keen interest in me about healthy living, and so I began engaging in plenty of research on holistic wellness, nutrition and exercise. Exposing myself to legitimate health information and advice opened my eyes to the astounding properties of wholesome nourishment - food is not the enemy at all – rather food is our life source that nourishes, protects, and heals. In learning and exploring the wonders of proper nutrition, I was able to rebuild my relationship with food. 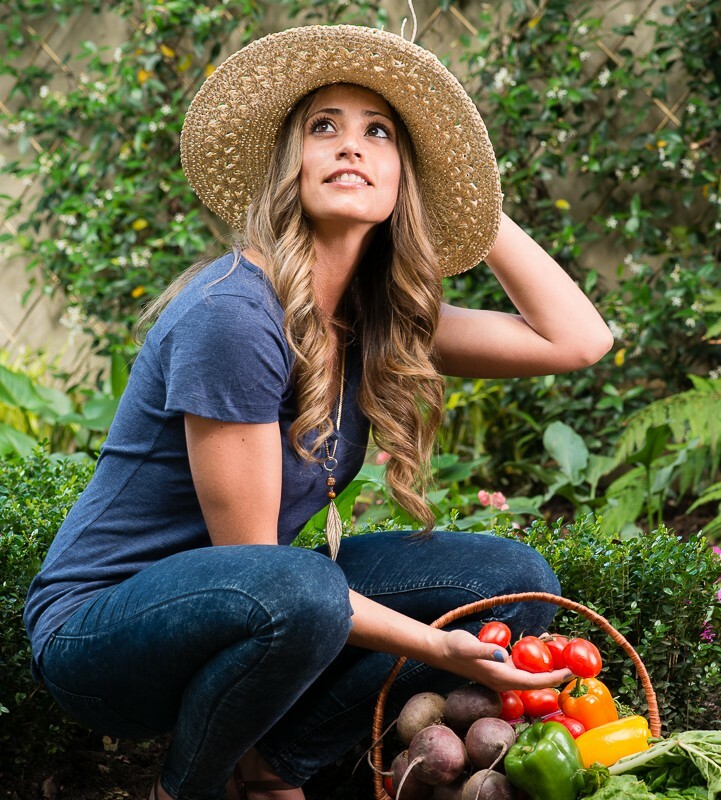 I came to understand that food variety exists in abundance, however it is up to each of us to be mindful in the food choices we make within that variety. So how did I manage to heal myself? Cutting out "diet" foods such as low fat or fat free dairy. So many of us out there feel helpless when it comes to our health because we are unsure where to start or how to sustain healthy habits. This is because of the immediacy and sense of urgency with which we approach these changes. The more we try and introduce many large changes simultaneously, the less likely we are to make those changes permanent. Why? Because people are inherently resistant to change. Change is usually associated with shaking up long-standing norms or habits, and this creates discomfort in us. This is why it is important to apply incremental rather than radical changes - that is - taking one step at a time and introducing smaller more realisable changes over a period of time. In applying this approach to healthy living, sustainable lifestyle changes become far more possible and attainable for us. I believe that we all have the power to find our way towards a healthy balanced lifestyle. All it takes is a little inspiration, responsibility acceptance and an openness to change. Once we realise the difference that great health provides, there is absolutely no turning back. That liberating feeling of vitality is completely addictive, in a good way and will keep us working towards sustaining this balance. You have the power to be better, feel better, look better and live better, all it starts with is the decision to try, and I promise you, if you give it your all and make your health a priority, you will never look back! "I first met Cara Lisa at the gym and I was inspired by her physical fitness. I approached her to assist myself a few friends and my daughter, and with no regrets 2 months on Cara has been amazing. We have never felt stronger and healthier emotionally and physically. Her motivation and encouragement creates a relaxed comfortable atmosphere. She motivates us to push ourselves to limits we could never have achieved on our own. We have more energy, our balance and flexibility has improved. 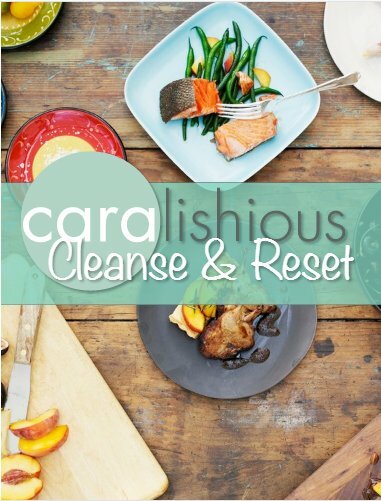 We recommend Cara as a wellness coach to anyone interested in increasing his or her personal wellness."